Uncommon Valor | Z-File, Inc. Since the Vietnam War ended in 1973, the Medal of Honor, our nation’s highest award for valor, has been presented to only ten men for their actions “above and beyond the call of duty.” Eight of those ten were young men who had fought in either the Second Gulf War, the war in Afghanistan, or both. 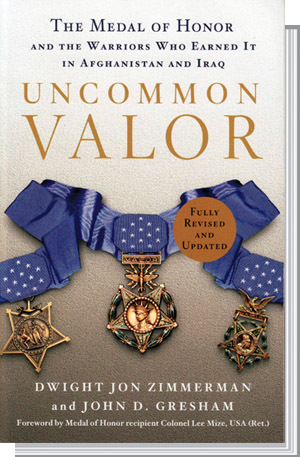 UNCOMMON VALOR makes extensive use of an extraordinary range of sources, including interviews with family members and friends, teammates and superiors in the military, personal letters, blogs posted within hours of events, personal videos uploaded on the Internet for loved ones, official videos, after-action reports, and newly declassified documents, among others. 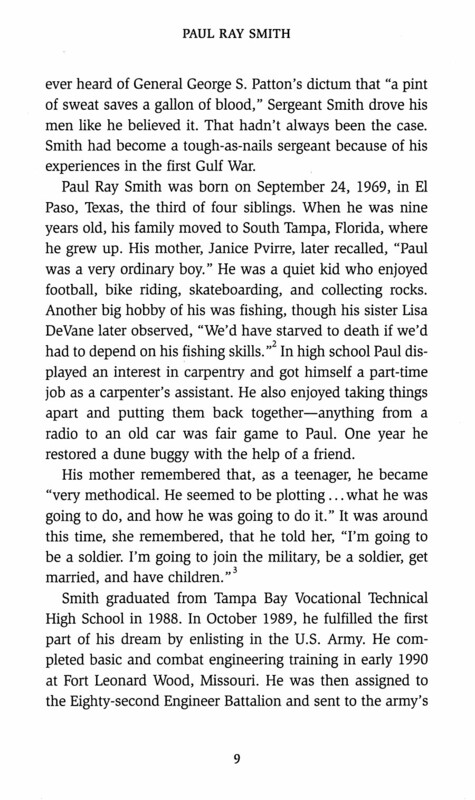 The resulting stories answer the searing questions of who these young men were, how they found themselves in life-or-death situations, and why they responded as they did, each making the ultimate sacrifice. First book to present in one volume the inspiring stories of all eight Medal of Honor recipients from the Iraq and Afghanistan wars. Crisp and moving narratives that place the readers in the action with each recipient. Exclusive, extensive research includes recently declassified documents that provide important new information. For the first time, a comprehensive history of the Medal of Honor itself—a history marred by controversies, scandals, and theft, and the many efforts to protect it, culminating with the landmark Stolen Valor Act of 2005. True valor is rare and often unexpected, and the best examples are mesmerizing. 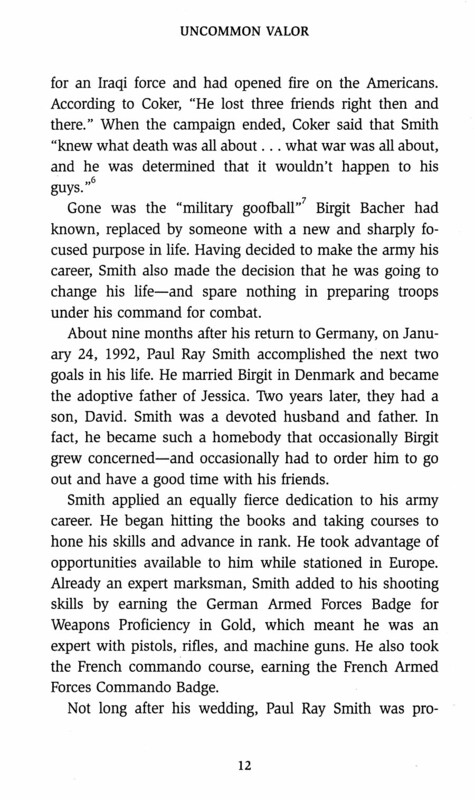 So is this page-turning account of the heroes who have earned the highest accolades for bravery in America’s most recent overseas wars. This book illuminates the virtues of courage, modesty, and sacrifice through accounts that combine vivid drama with compelling humanity. This is a moving and appropriate tribute to the six men who earned the nation’s highest and most prestigious military decoration in our 21st century wars. Those who think that contemporary warfare has become a kind of high tech video game need to read this book to understand that, in the end, valor is still the indispensable element in war. Dwight Zimmerman and John D. Gresham have produced a fascinating account of the sacrifices of six modern-day American heroes in Uncommon Valor. I am certain that these six young men were not thinking of the righteousness or necessity of the war. They were thinking of the men on their left and right. What is most striking is that these were ordinary young Americans who gave their lives that others might live. Dwight and John have done all of us a favor by telling their stories. Uncommon Valor is a deeply affecting book that tells the stories of six brave men who were awarded the Medal of Honor while fighting in Afghanistan and Iraq. 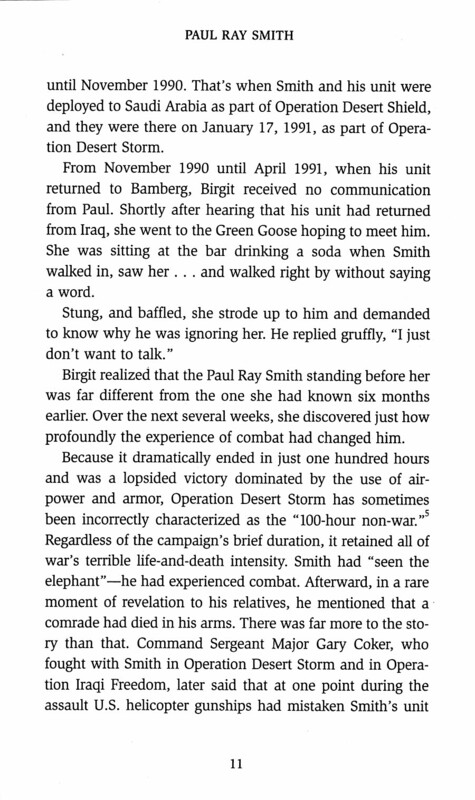 Zimmerman and Gresham write of their sacrifice without sentimentality, yet with the kind of vivid detail that lets readers imagine what it’s like to face long odds in brutal combat. The authors don’t preach, but they do illuminate the causes of the war and its searing costs. The result is a book that celebrates the lives of six heroes who gave their lives so the rest of us could be a little safer. Safer—but also poorer for the loss of such men. I found Uncommon Valor to be fascinating, disturbing, humorous, frightening yet wonderful to read. Dwight Zimmerman and John D. Gresham take the reader right into the battlefields with these young warriors. I found myself thinking back to all of the incredible young pilots I knew 40 years ago. I think of the ultimate sacrifices so many men and women have made over the history of our country, not for the country per se, but for their buddies, the men and women they were fighting next to. The total lack of concern about their own lives is astounding to me. No hesitation, no second thoughts, just react to save their comrades. Some people say America doesn’t have any more heroes. They must read Uncommon Valor. Dwight Jon Zimmerman and John D. Gresham have captured the essence of the Medal of Honor, extraordinary acts of bravery by seemingly ordinary soldiers. 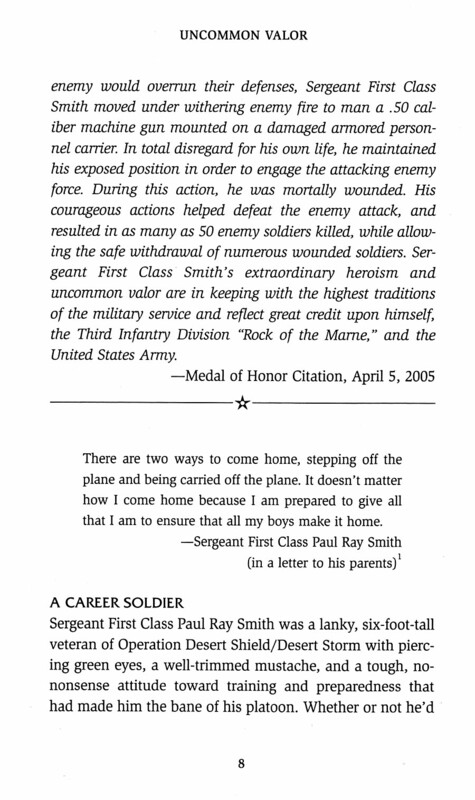 From the touching personal details to the heart-wrenching recounting of the moments that etched these men into history’s canvass, Uncommon Valor honors not just these individuals, but all those who have given the last full measure of devotion for a cause in which they truly believed. As an Air Force spouse of 30 years, a former columnist for Stars and Stripes/Europe and a member of the Military Writers Society of America, I am honored to recommend Uncommon Valor . . . a comprehensive review of the Medal of Honor, our nation’s highest award for valor, and the warriors who earned it in Afghanistan and Iraq. The awards were made posthumously after mind-boggling heroics in which each sacrificed his life so his fellow soldiers/sailors/airmen might live. 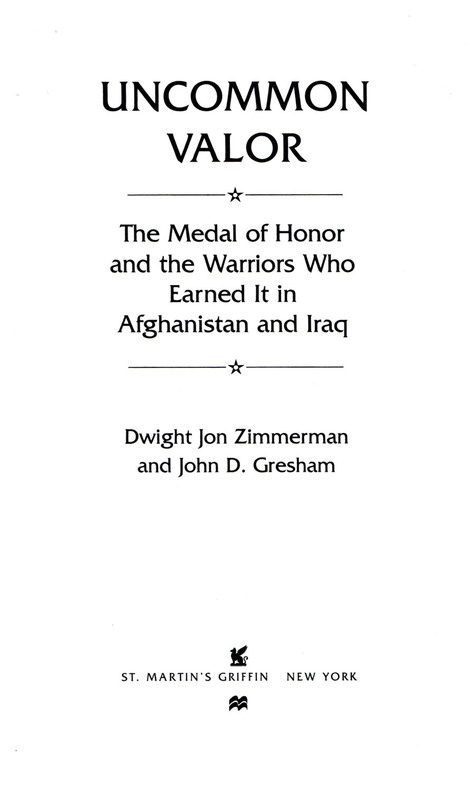 Between each chapter, the co-authors also offer fascinating explanations – in laymen’s terms – of the conditions, tribal politics, and geographical landscape in Afghanistan or Iraq which led to each heroic action that culminated in individual Medal of Honor nominations. Readers will also discover each recipient’s past childhood and family history that led up to the defining moments of life. The co-authors are an award-winning military writer, Dwight Zimmerman, and John Gresham, a military analyst who has previously co-authored non-fiction military works with Tom Clancy. What makes a person deliberately fall on a grenade, charge into a line of fire, sacrifice his life to save another? In Uncommon Valor, authors Dwight Jon Zimmerman and John D. Gresham attempt to answer these haunting questions. 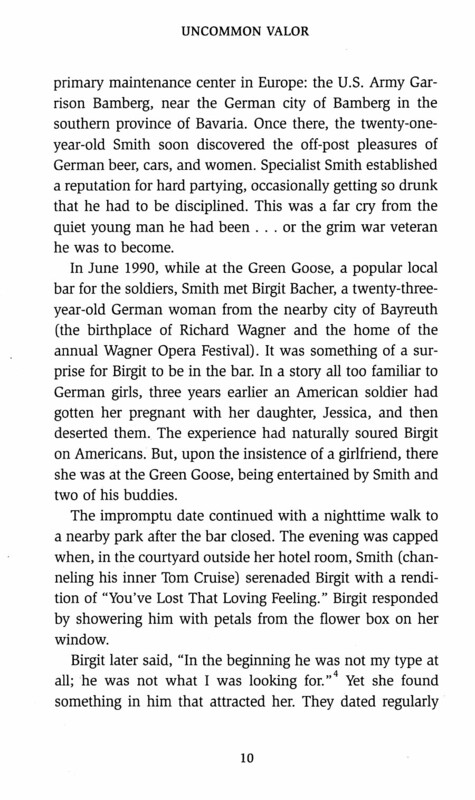 The book delves into the history of the medal itself, but for me, the wife of a former fighter pilot and soon-to-be Army mom, my favorite chapters were the ones that explored each man’s past. I learned about their childhoods, their families, and their lives before they chose to enter the military. Throughout the book, I was reminded of a line from The Soldier’s Creed: “I am a warrior and a member of a team.” Each man put his comrades first. This book will change you. Reading Uncommon Valor will make you want to become a better person. A better citizen. A better steward of this great land we call America. 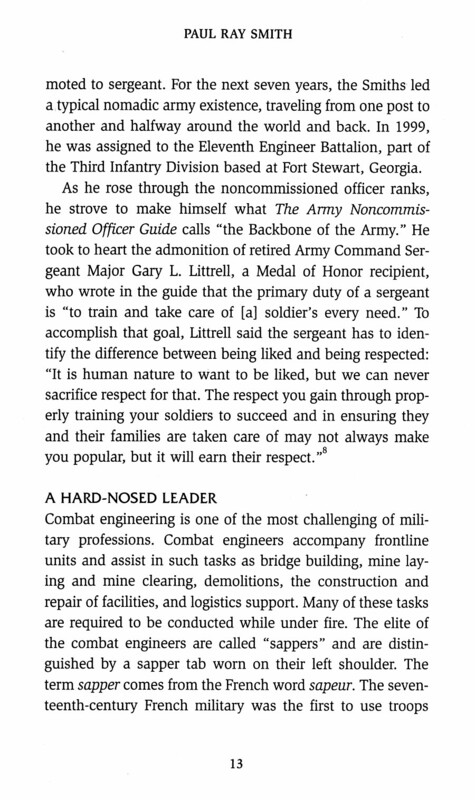 Dwight Jon Zimmerman is author of the critically acclaimed young-adult military history, First Command: Paths to Leadership. Zimmerman also contributed substantially to a series of successful young-adult military history books. This includes a book on World War II, The Good Fightby Stephen E. Ambrose (2001); a Civil War volume, Fields of Fury by James M. McPherson (2002); a volume on the American Revolution, Fight for Freedom by Benson Bodrick (2003); a volume on the Vietnam War, 10,000 Days of Thunder by Philip Caputo (2004); and a volume on Reconstruction, Into the West: From Reconstruction to the End of the Frontier by James M. McPherson (2005). He has written on military-history subjects for American Heritage, the Naval Institute Press, Vietnam magazine, and numerous military-themed publications for Faircount International. In 2006, his essay on challenges faced by the Coast Guard was selected by the Naval War College for use in its curriculum. Zimmerman was the co-executive producer of the Military Channel’s miniseries, First Command, based on his book. The miniseries won the 2005 Aurora Platinum Best of Show Award for Historical Programming. He lives in Brooklyn, New York. John D. Gresham is an author, researcher, game designer, photographer, and military commentator. He is the primary researcher and partner to Tom Clancy on his best-selling series of nonfiction “guided tour” books about military units. These include Submarine (1993), Armored Cav (1994), Fighter Wing (1995), Marine (1996), Airborne (1997), Carrier (1999) and Special Forces (2001). He also is the award-winning co-designer of Supermarina I and Supermarina II (Clash of Arms Games, 1996 and 1997), a naval war game based upon Larry Bond’s award-winning “Command at Sea” game system. He has also provided interviews, commentary, and production assistance for various documentary series produced for the History, Learning, and Discovery channels. Gresham began his writing career full time with work on Desert Storm (1991), and then moved into his current role as researcher and partner to Tom Clancy. His latest book, Defcon-2 (with Norman Polmar, 2006), has been acknowledged as perhpas the best single-volume history of the Cuban Missile Crisis. He currently resides in Virginia.